Our specialty is to keep you warm, but sometimes you just need to cool off and beat the summer heat! The new AlphaCool battery powered cooling vest has 2 high-powered fans that circulate a breeze directly around your body for instant relief. 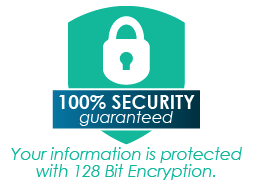 This technology that has been used for industrial purposes only and is finally ready for consumer use. 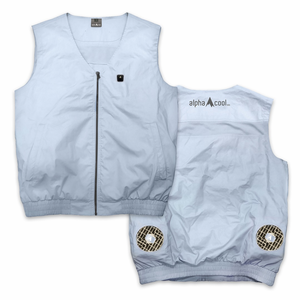 The AlphaCool Cooling AirVest is one-of-a-kind and works great for keeping you cool in the summer heat indoors or outside. 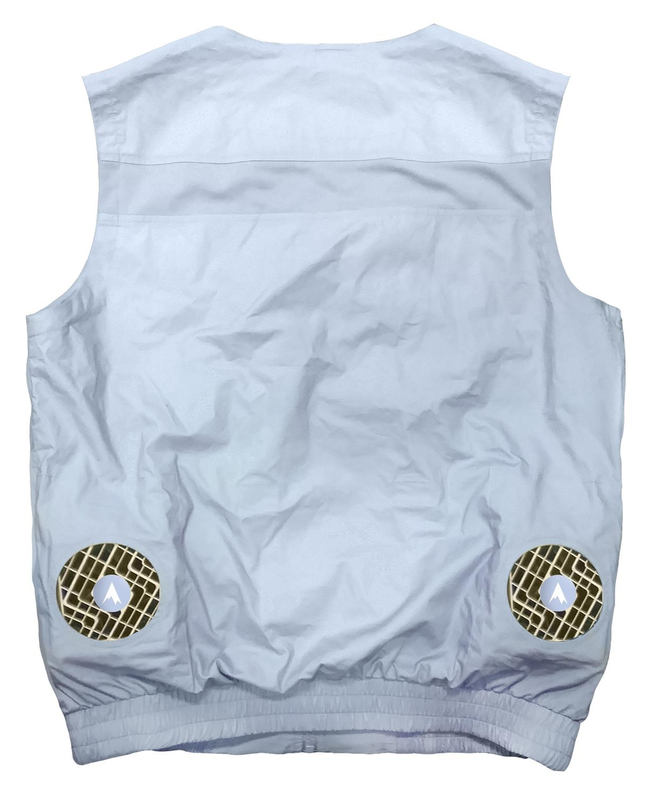 What makes the battery powered cooling vest so great is that it is very simple to use. 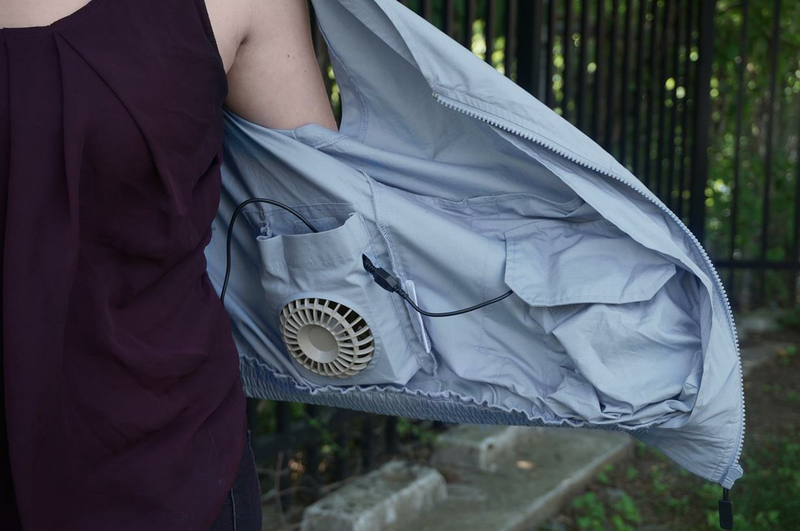 There are two powerful 3" fans (on either side near the back) built into the garment. 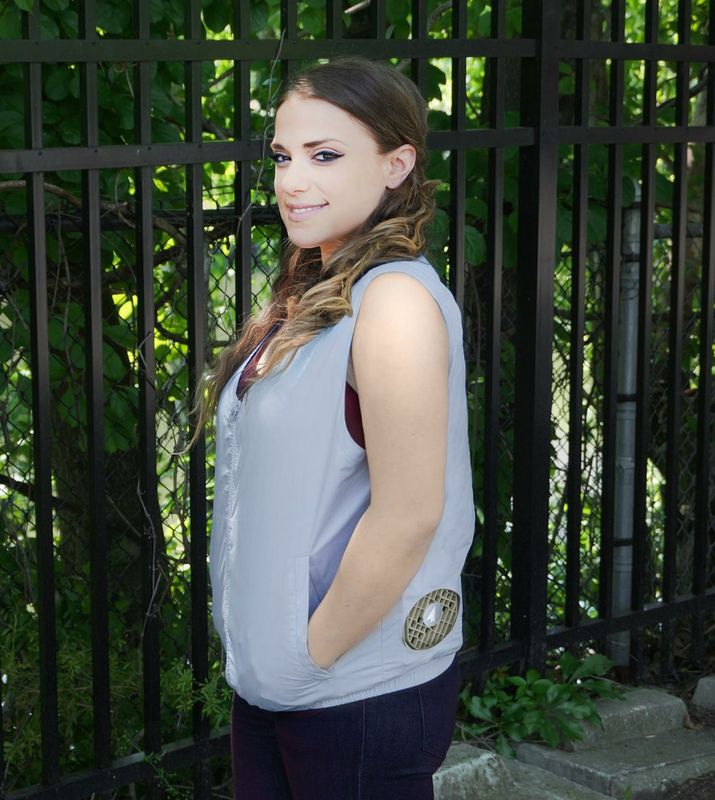 The breeze naturally circulated in the vest providing a nice cooling sensation. 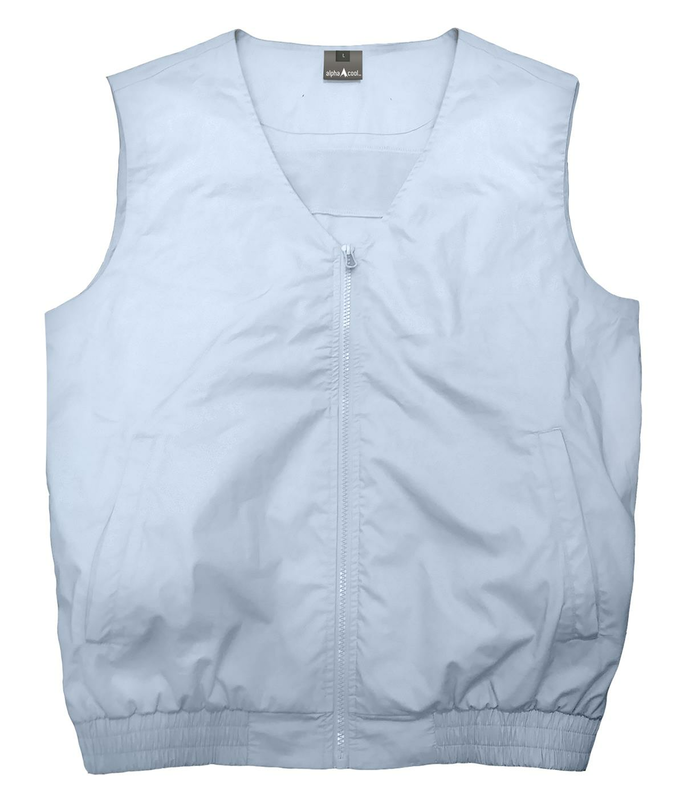 This cooling vest is perfect for long, hot summer days at the beach, gardening, at a ballpark, or working in hot conditions. Staying cool and regulating body temperature is important to stay safe and avoid heat stress. The battery powered cooling vest, or "Air-Conditioned Vest" actively cools down the wearer and lasts for hours with any standard power bank. These cooling vests have primarily been used by workers in areas where air conditioning systems cannot be easily installed, such as tunnels, mining and underground construction sites. This vest does not operate by cooling down the air, but rather it increases the air circulation directly around your body. This helps maintain a healthy body temperature and helps evaporate sweat which provides an instant cooling effect. Battery Pack Included: 5V - 2.4 Amp - 7800 mAh powerpack. 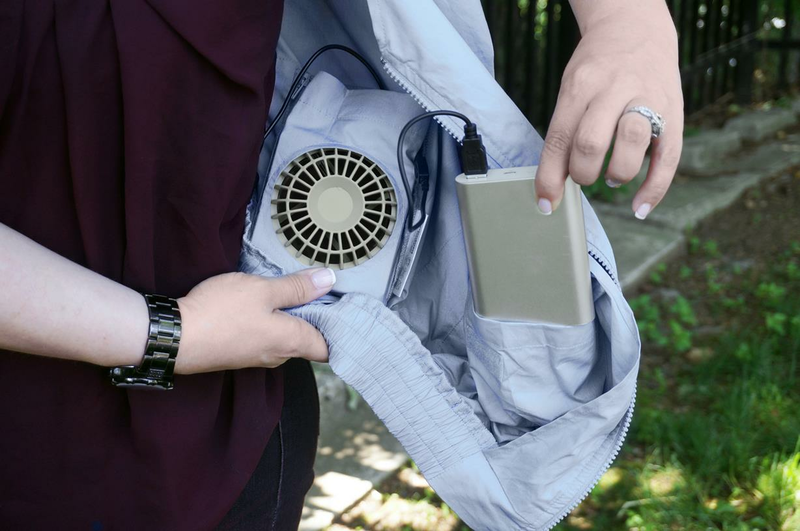 The battery has two USB ports so you can charge your phone as well as use for vest. I have tried all kinds of cooling vests but they always feel wet or cold and I am looking for something I can wear around the house.